Sometimes it takes a long while for the interesting vehicles to be introduced by an automaker. Take Volkswagen, for instance. 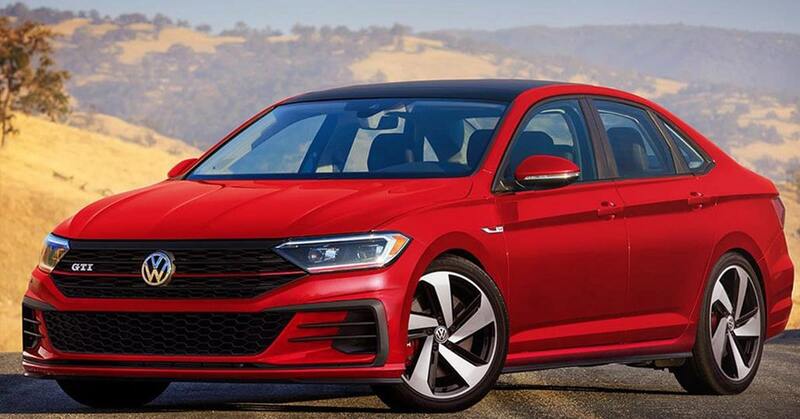 About the middle of last year, it launched the reworked Jetta for 2019. And, contrary to the rest of the sedan market, the Jetta has worked out quite well for VW as it has helped to keep their sales up. And now, given past marketing efforts, is about the time for Volkswagen to introduce other popular models, based on the standard vehicle. One such car is the Jetta GLI. It has always been a model that attracts its fair share of attention from enthusiasts. Introduced last week at the 2019 Chicago Auto Show, the Motor Authority (TMA) had a chance to take a close look at the GLI. TMA said that it is “essentially the GTI package wrapped in a compact sedan body.” Interestingly, older versions of the GLI were also like that. Indeed, I said nearly the same thing in my reviews of the vehicle. Because it is a Golf GTI in a different skin, the GLI has a bodacious powerplant. The engine is a turbocharged 2.0-liter four that puts out 228 horsepower and 258 pounds-feet of torque. The 2018 model turned out 210 horsepower and 217 pounds-feet of torque. The standard transmission is a six-speed manual – one of the smoother and positive six-speeds on the market. If you don’t feel like mixing things up yourself with a standard, VW offers a seven-speed dual-clutch automatic. There are no precise performance numbers. However, it is likely that the GLI will run from 0 to 60 in the six-second range. The GLI also includes a limited-slip differential and an independent suspension. The suspension cuts the ride height by about 0.6 inches, compared with the standard model. VW Jetta GLI: The Compact With MId-Sized Tastes. When it comes to stopping, the GLI uses brakes from the Golf R. The front brakes are 13.4-inch vented discs. Wheels are unique to the GLI and measure 18 inches. It is relatively easy to spot the GLI as it uses a more aggressive front fascia design. The grille incorporates a black honeycomb. A very subtle spoiler and dual chromed exhaust tips mark the GLI’s rear end. LED headlights and taillights are also standard. VW will offer a 35th-anniversary model to mark the GLI’s re-launch. The model features black red-striped wheels, a black roof, black mirror caps, a black rear spoiler and unique badging. VW will also offer adaptive dampers as standard. VW will also provide a digital instrument cluster, panoramic sunroof, and BeatsAudio system.